Virginia Auto Service provides complete fuel injector cleaning in Phoenix, Arizona. There are several methods to clean your fuel injectors. The best method depends on the year, make and model of your vehicle as well as the condition of your fuel injectors. Call us at 602-266-0200 to schedule an appointment to diagnose your fuel injectors and determine which cleaning method is best for you. Must present coupon at write up. Please call 602-266-0200 to schedule. Not valid with any other discounts, promotions, or coupons. Cleaning your fuel injector is especially important in Arizona. Over time, the dust in the air, plus contaminants in the fuel can be detrimental to the health of their fuel injection system; luckily, all that’s required to fix the situation is a fuel injector cleaning from time to time. Some drivers are content to allow their fuel injectors to run unattended until some kind of problem exhibits itself and simply pay for the replacements to get everything working again. The problem here is that if you follow this prescription of fuel injector repair, you will not only need to pay for expensive fuel injector replacement, but the cost of labor to install them as well. There is a way to skip the cost of new fuel injectors and keep your car running well. This option is Fuel Injector Cleaning. 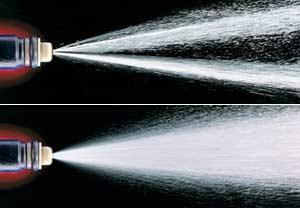 There are two ways to go about cleaning your fuel injectors. One of them enables you to keep them on your vehicle while they are cleaned and the other requires them to be removed before cleaning. Depending on how often you clean your fuel injectors, and the quality of gasoline you use in your vehicle, you may find that the necessity for fuel injection cleaning is actually quite rare. But if you tend to ignore this repair process, you can find your vehicle behaving in some very strange ways. Engine hesitation is one of the classic signals of a fuel injector problem, if there is even a small amount of buildup that occurs inside the fuel injector, it can disturb the spread of fuel and cause the gasoline burn poorly or vaporize outright. Another possible outcome of clogged fuel injectors is failing an emissions test because unburned fuel can cause your vehicle to run with a “rich” mixture. Another unfortunate side effect of this is the fact that your gas mileage is probably suffering because of all the unused gasoline. All in all, fuel injector service is a good idea to have done once in a while. We recommend taking your vehicle in for an “on-vehicle” cleaning before they get too clogged so that you can skip the costs of removing them, as well as the cost of replacing the actual injectors themselves. There are other performance issues that can arise from allowing your fuel injectors to degrade past the point of usefulness. Though it may not appear to be an issue directly related to the fuel system, it is quite possible because of the interconnectivity of how the automobile works. Rest assured, whatever the problem is, our technicians have the skill and training to track it down and create a solution that works for your situation. Feel free to give us a call if you have any questions about what we can do for your vehicle. We will be happy to provide you with any information that you may require.